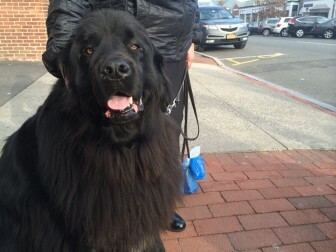 Our first dog (or “New Canine” resident, you might say) featured here is Beaufort, a 3.5-year-old Newfoundland. 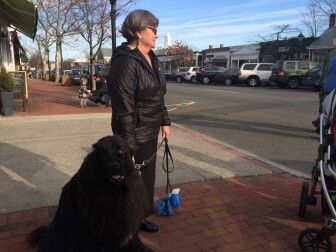 Owner Leslie Kammerer, a New Canaan resident, told us on a recent afternoon as Beaufort earned oohs and ahhs (and awws) on Elm Street that the big lug has been working as a certified therapy dog at Norwalk Hospital for the past 18 months or so. 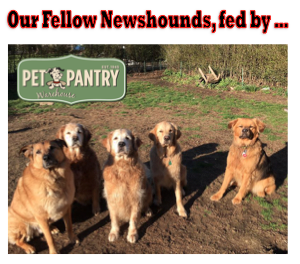 Acquired as a birthday present to Kammerer from herself, Beaufort is a “very well-trained dog,” she said. So it’s been a nice month for Beaufort—though it also sounds as if every moment is pretty good.